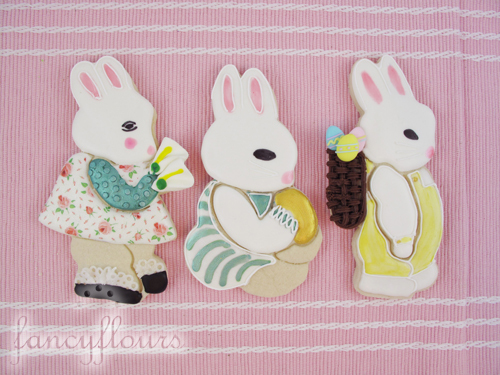 Clever little bunny cookies in three new shapes! Heirloom copper cutters are handmade in the U.S.A. A perfect addition to your cookie cutter collection. Master Tinsmtih, Fred Scalzo, hand welds his cookie cutters with solid copper creating a beautiful collectors item. 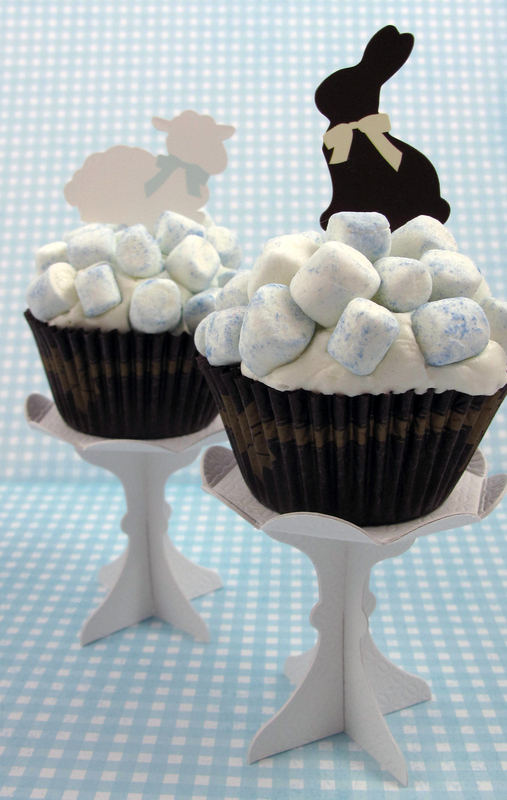 Available in three shapes each measuring about 3.25″ x 5.25″: Bunny Bixby, Bunny Maxwell, and Bunny Talula. Create fun cookies for your Easter or Spring gathering using our No Fail Sugar Cookie Recipe and colored royal icing. 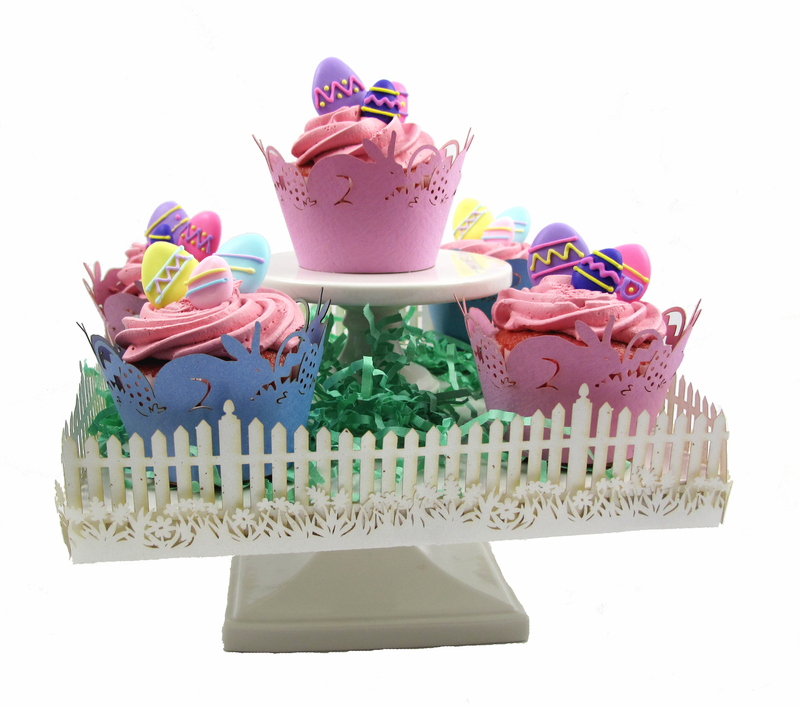 We added 3D effect to ours with sugar decorations such as: Small Calla Lilly Royal Icing decorations (for the flower bouquet) and Small Bright Easter Egg Decorations (in the backpack).